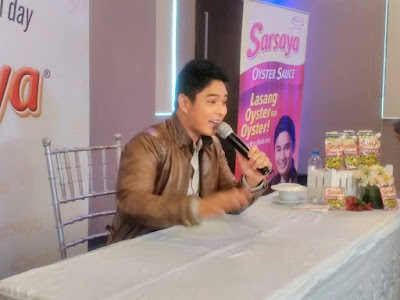 AjinomotoPhilippines recently launched its newest product, Sarsaya Oster Sauce featuring its celebrity endorser, award-winning actor and “Ang Probinsyano” himself, Mr. Coco Martin. 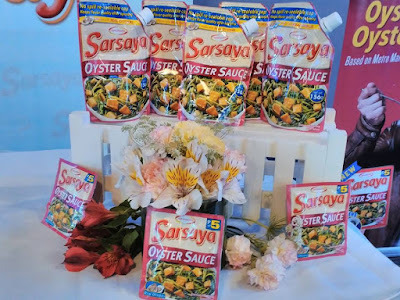 Unlike other brands available in the market, Sarsaya Oyster Sauce is made from concentrated real oysters, complete with seasonings to provide a delicious blend of savor, sweet and salty taste to any dish. “We created Sarsaya Oyster Sauce in such a unique way to suit the Filipino palate, thereby making more dishes like ginisang kangkong and adobo more flavorful and delicious,” says Pen Alvina, Ajinomoto;s Category Manager for Menu Seasonings. 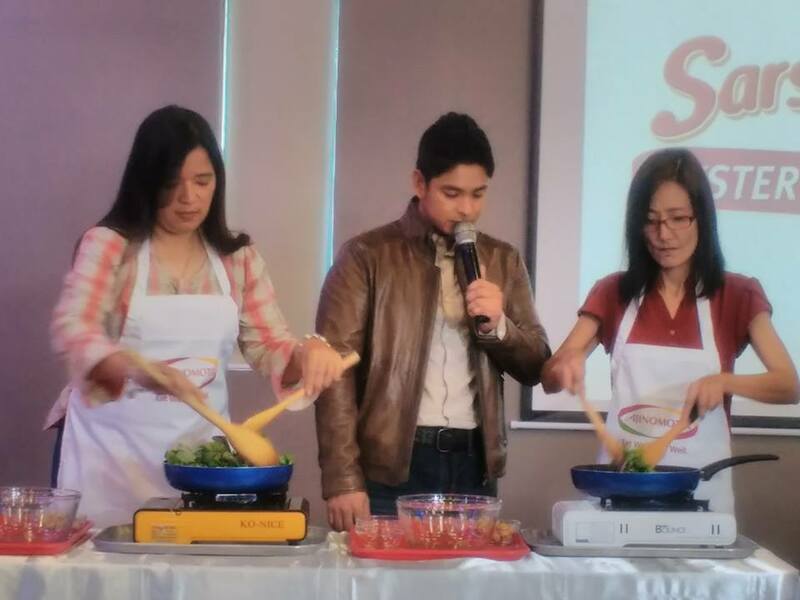 Actor and endorser Coco Martin is sandwiched between bloggers Michelle "Macy" Santos and Tina Perez during the cook off. 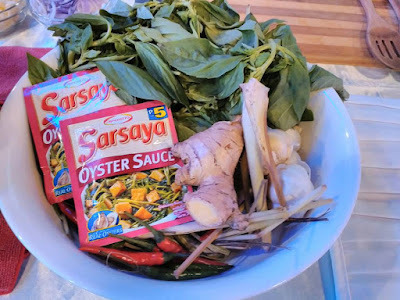 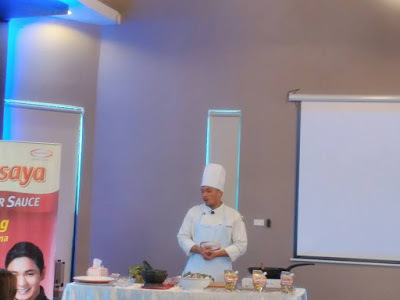 During the said launch, there was a live cooking demonstration facilitated by Chef Mcryan Rodrigo who whipped up Ginisarsayang Kangkong with Tokwa and the Thai-Style Stir Fried Chicken cooked using Sarsaya Oyster Sauce. There was even a cook-off between two volunteer guests (mom bloggers), Macy Santos and Tina Perez. 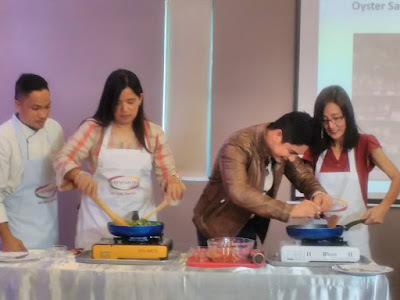 Coco gamely helped the two moms as they cooked and even rewarded them with photo opportunities. Down-to-earth actor Coco Martin is the perfect endorser for the brand. 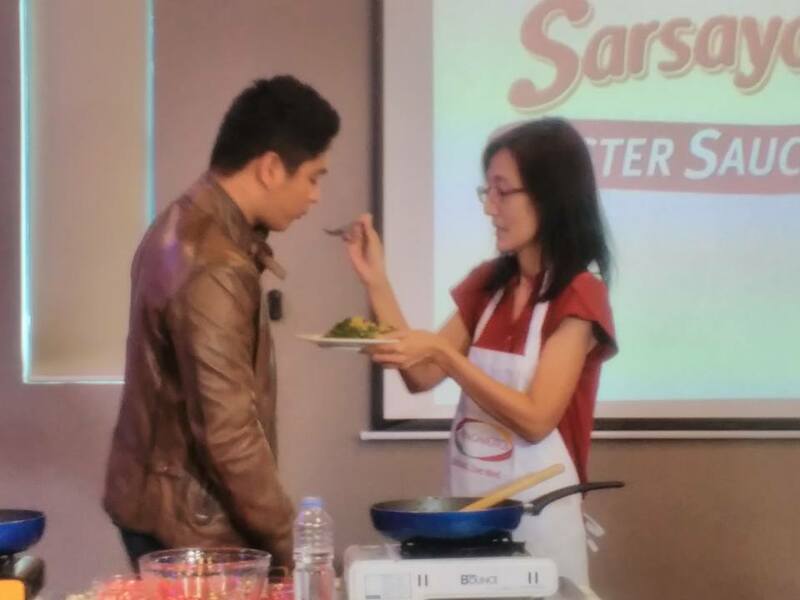 Coco sites Beef Broccoli in Oyster sauce, Ampalaya con Carne and Kangkong in Oyster as his favorite dishes. “My grandma taught us to cook on our own. 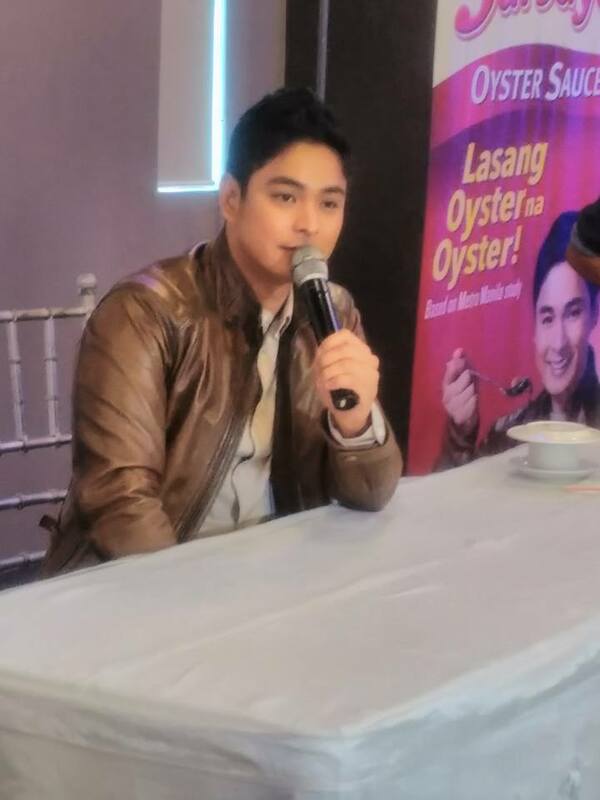 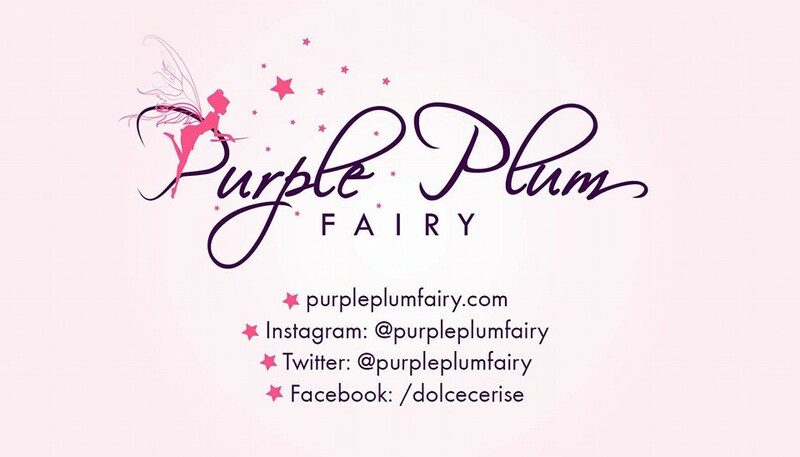 That way, we will never go hungry because we know how to prepare dishes by ourselves,” shares Coco. 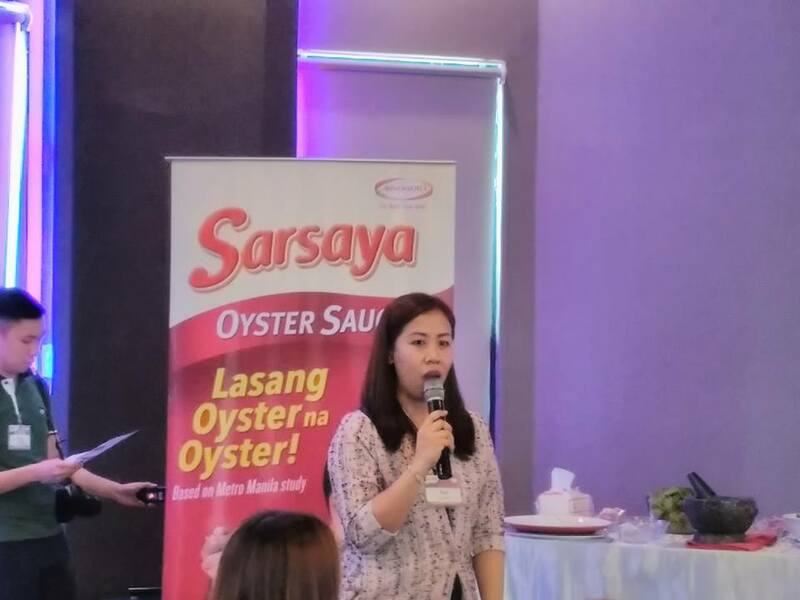 “I love Sarsaya Oyster Sauce because it turns any simple dish into something extra special and it enhances the dish into something more flavorful too,” exclaimed Coco. 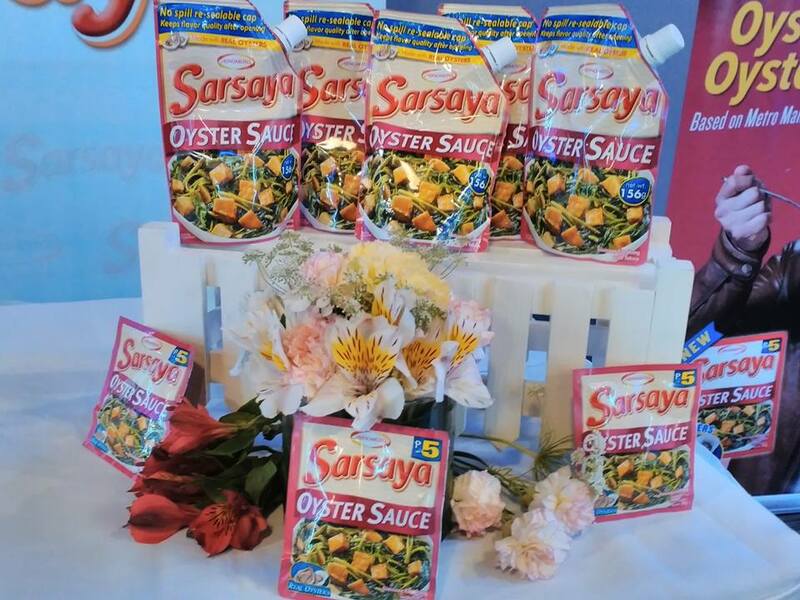 Discover your new partner in the kitchen with Ajinomoto’s Sarsaya Oyster Sauce. 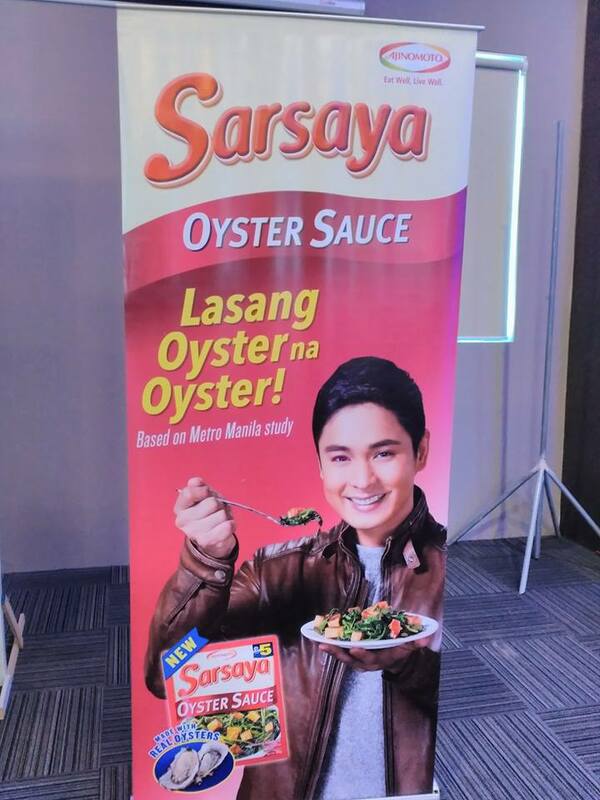 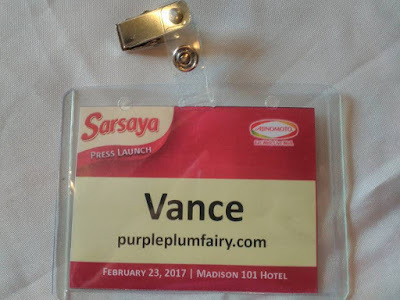 Now available in leading groceries, supermarkets and sari-sari stores nationwide. 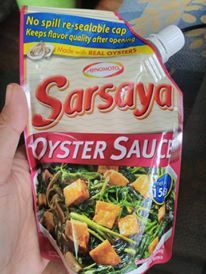 It’s available in two sizes: 30g pack and 156g stand-up pack in conveniently re-sealable pouch. 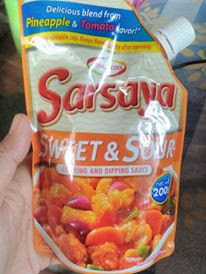 Sarsaya Sweet and Sour Sauce is also available in 200g stand-up pouch for a delicious blend of pineapple and tomato sauce. 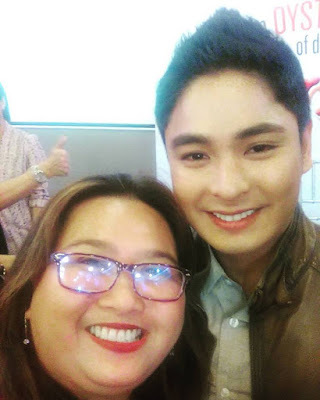 Lastly, because my Mom and my entire household are fans of “Ang Probinsyano” and Coco Martin, I wouldn’t want the said launch to end without my selfie with Mr. Coco Martin. Luckily, he obliged with a smile on his face. Coco Martin is no doubt, the perfect endorser for Ajinomoto because just like him, it’s been a brand loved and trusted by so many Filipino families.